Severe drought has affected around 766,000 people since November 2016. Many are pastoralists and have lost up to 70% of their herds. The drought and lack of food have heightened the risk of disease and illness, while flash rainstorms are further exacerbating the danger. Working with our in-country partner ActionAid over three phases of response, we have successfully distributed aid to 3,441 families across three areas. These ShelterBoxes have been adapted to meet the specific needs of nomadic communities – the tent has been removed and replaced with two tarpaulins to waterproof existing shelters. All the essential items within these ShelterBoxes are portable, vital for families in temporary camps so they can take them with them when they move on. Your support enables our teams to go further and deliver more aid to families in need. 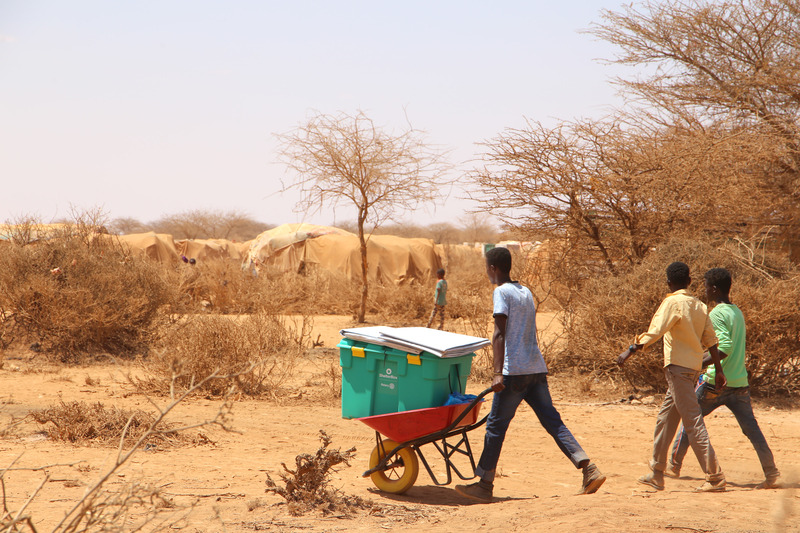 Watch as he explains in greater depth the situation that Somaliland is facing and what ShelterBox is doing to respond. Thousands of families in Somaliland and around the world need our help now. 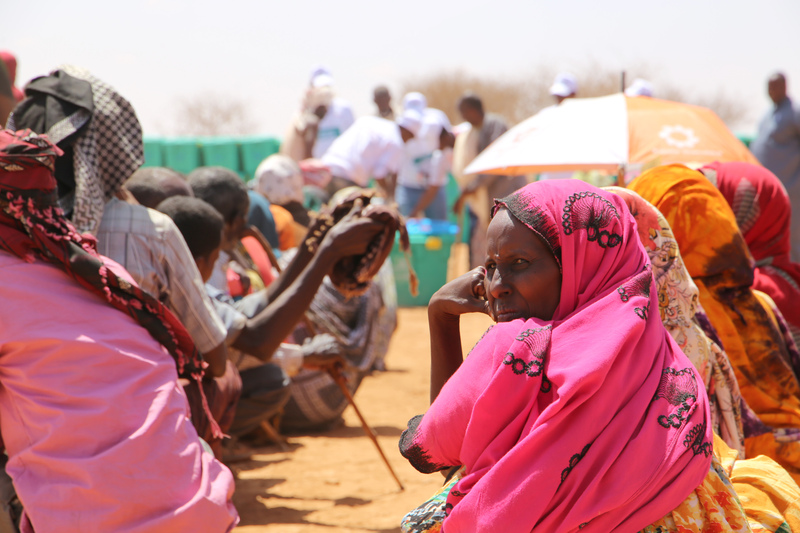 The last time we were in Somaliland was in 2009, when we were helping people displaced by conflict. 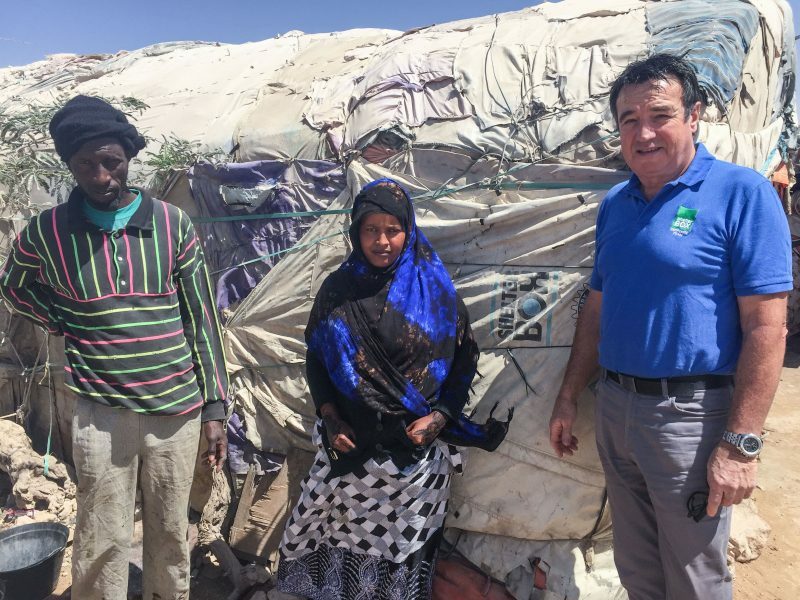 Eight years on, as our team were travelling down a bumpy, dusty desert road, they came upon a lone tent with a ShelterBox and Rotary International logo on it. The owner of the tent, Muna Mohammed now uses the tent as a café. 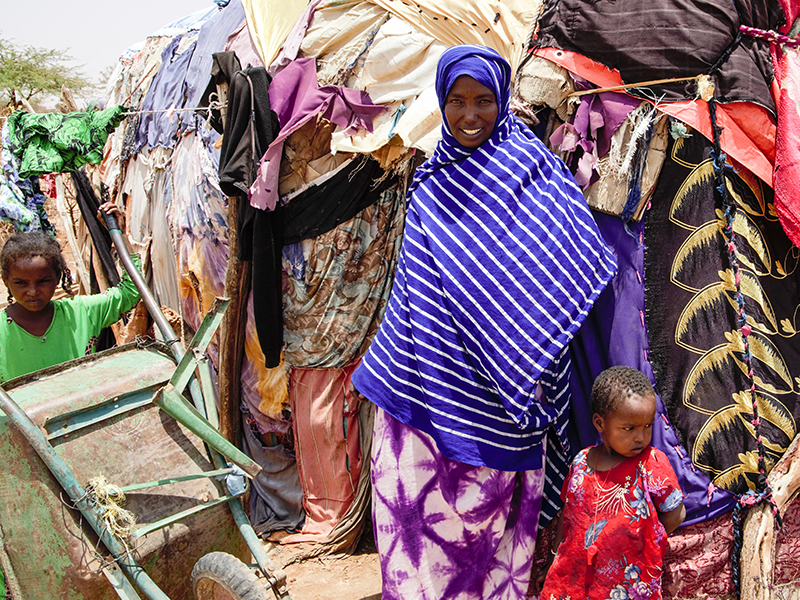 Muna, aged 21, has made good use of the original tent, weaving it together with other material to form a traditional Somali house. This is a new method of up-cycling we haven’t seen before, and it’s great to see such adaptability and resilience. Muna proudly told the team her tea is the best in Somaliland, she has called the café Prosperity.